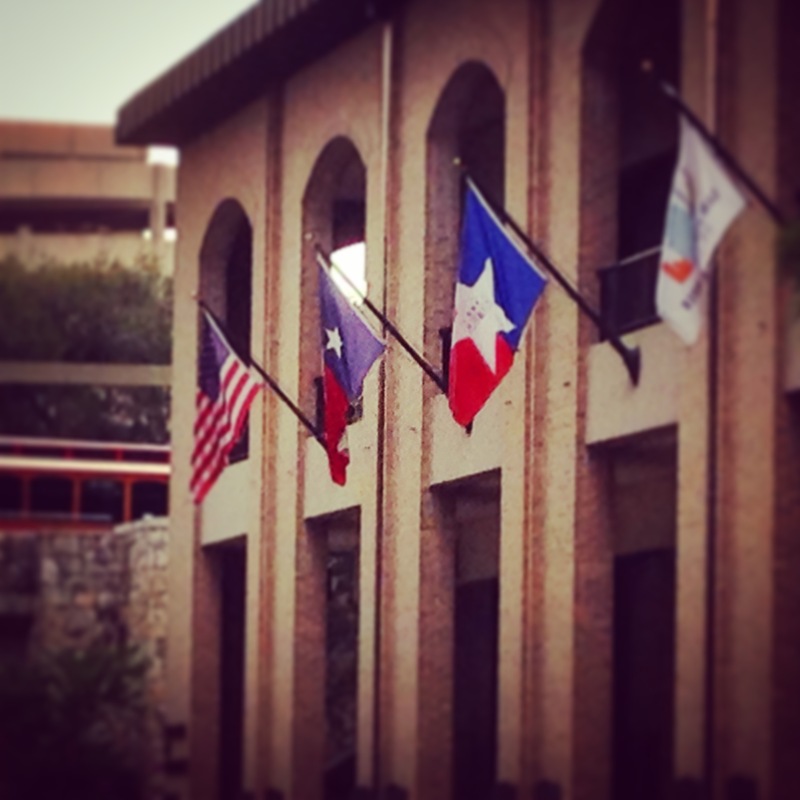 Flags adorn a building in San Antonio. I have just arrived in San Antonio for the FGS (Federation of Genealogical Societies) Annual Conference. I am excited to be here in Texas this year not only for the conference, but to learn more about the state I will soon call home. That’s right, Genealogy Pants’ home office will be relocating to Austin, Texas next week! I am excited to learn more about the rich history of this state, see new sights, eat different food, experience a new climate (hot, I know it will be hot) and make some new genealogy friends. This evening I had the pleasure to attend the FGS Delegate’s reception and meet several genealogists who live in the area of my new home. The conference begins tomorrow with the Focus on Societies Day. Thursday, along with many great-sounding sessions, the exhibit hall will open. I am looking forward to examining all of the Texas-related booths, seeing new publications and products, meeting up with old and new friends, and just generally having a good time! I am also looking forward to supporting the Preserve the Pensions campaign to raise the funds to digitize the War of 1812 pensions. With all of the fun I anticipate this week, I will be too distracted to worry too much about my upcoming move! Have fun, Cari, and best of luck with the move next week!